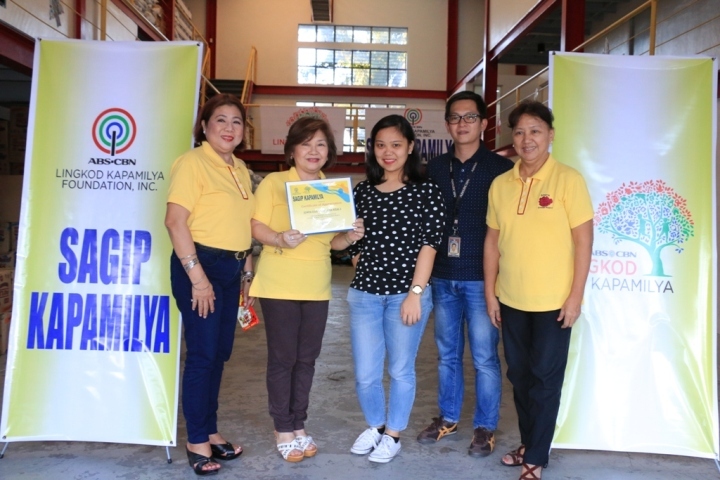 Ladies of Zonta Club Greater Rizal I and II personally went to Sagip Kapamilya Warehouse to turn-over their donation for the victims of Typhoon Lando. Anna Lao, Zonta Greater Rizal II’s President shares that the reason they continue to help is the happiness they feel whenever they are able to reach out to their fellow Filipinos. Even if they are not physically with their countrymen, with Sagip Kapamilya, they know their help will definitely reach the families in need. As of October 30, Sagip Kapamilya already reached 17,577 families or 87,885 individuals who are affected by Typhoon Lando in the areas of Aurora, Tarlac, Pangasinan, Nueva Ecija, Isabela, Ilocos Sur, Bulacan, Benguet, and La Union. Click here for the complete list of areas Sagip Kapamilya reached for its Operation Lando as of October 30.